Home » Getting Active » Exercise Strengthens Your Body and Your Brain! Everybody knows that exercise makes you leaner and healthier. It helps you live longer, and makes your muscles stronger. However, many people don’t know that exercise also strengthens the brain. Scientists are learning more about the body-brain connection all the time. Many newer studies have shown that exercise prevents cognitive decline in older adults and that exercise boosts the brain’s connections. Older people and those in poorer health can boost their brainpower by exercising regularly. Healthy younger people may get less noticeable improvement but can still protect their brain by exercising. Just a small amount of exercise done regularly helps prevent dementia later in life. Everybody can benefit from better connections in the brain that result from higher levels of BDNF. Scientists used to think BDNF, short for brain-derived neurotrophic factor, was only important for fetuses and young people. Newer studies have found that it’s actually important for everybody. Low BDNF means the brain is less able to repair brain damage, or to learn new things. 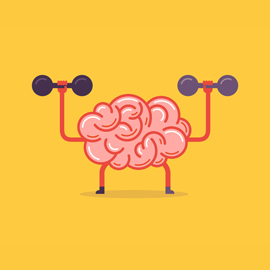 Just a little exercise increases BDNF in the brain, boosting brainpower and preventing dementia. Some Southern Californians will read this and get started right away on an exercise regimen. It can be hard to start for many, though. Starting a weight loss program in Beverly Hills could be exactly what’s needed to get started on a healthier body and brain. After getting used to a healthy new routine, the new habits are easy to maintain because you look and feel so much better. Plus, it is a relief having more protection from dementia in later life.